Check out these books and videos about hearing-related issues. The Beginning Sign Language Series is a fascinating and enjoyable way for beginning signers to learn sign language. The Can I Help You? 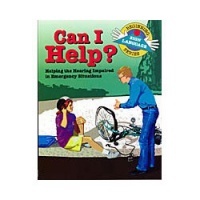 book presents signs, sentences, and information to help a beginning signer communicate with a hearing impaired person.